MSK Flooring is family owned business supplying quality commercial and domestic flooring finishes throughout London and the South East, expertly fitted by our own fully trained and accredited installation team. We pride ourselves on delivering a reliable service, competitively priced and always delivered on schedule. We have built a solid reputation within the industry for our attention to detail and the quality of work that we produce. The product portfolio on offer from MSK is immense and includes many of the markets leading brands such as Amtico, Cormar and Karndean. We also offer maintenance programs to restore, and repair existing flooring, eliminating the need for premature replacement and keeping your floor installation at its best. Feel free to visit our show room in Headcorn, Kent to see the extensive range of products that we have on offer. Alternatively, we are happy to bring samples to your home and provide you with a free, no obligation estimate. They laid a carpet throughout the house in most rooms. 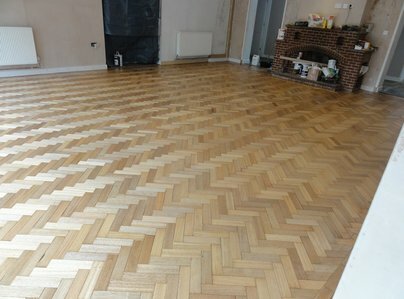 Also laid Oak flooring in the lounge. Very happy - they were the only trader I would welcome back into my home. Really nice people. Smart, polite, clean and tidy. They did a really good job.